After celebrating a decade in V8 Supercars last year, the renewal will continue to see ARMOR ALL sponsor one of the most prized driver awards on offer, the ARMOR ALL Pole Position Award. 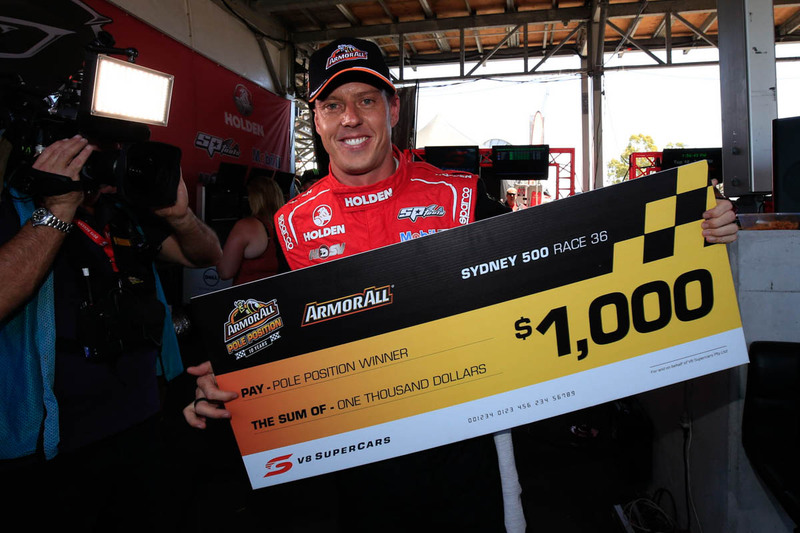 The relationship between ARMOR ALL and V8 Supercars has grown since its inception in 2005, with the impressive portfolio including naming rights to the ARMOR ALL Qualifying at every championship event, the ARMOR ALL Pole Position Award and the ARMOR ALL Top Ten Shootout. The brand will also continue as the Official Car Care Products Partner of the Dunlop V8 Supercars Series this year. V8 Supercars Chief Executive James Warburton said that ARMOR ALL partnering with V8 Supercars for the 11th year is a demonstration of the commercial benefits of the sport. “It is fantastic that ARMOR ALL have again chosen to partner with V8 Supercars in 2016. Support from brands like these is essential for our sport, and demonstrates the strength of our commercial offering,” Warburton said. General Manager Spectrum Brands Global Auto Care Asia Pacific Paul Blair said everyone involved with ARMOR ALL was excited to continue its 11th consecutive year with the V8 Supercars. "ARMOR ALL has partnered with the V8 Supercars for over 10 years now and we are excited to once again be closely aligned with Australia's leading motorsport category. ARMOR ALL stands for high quality and performance, just like the V8 Supercars series." "We love supporting the V8 Supercars and helping fans to keep their cars looking like new. We can't wait to see everyone trackside in what will be a thrilling 2016 season." ARMOR ALL has been providing high-quality car care products to Australians for over 40 years.